Hello and welcome to our first ROG dev talks! Thank you for looking into our project, testing new builds and supporting us. At the moment we are doing our best to develop prototype into pre-alpha build. 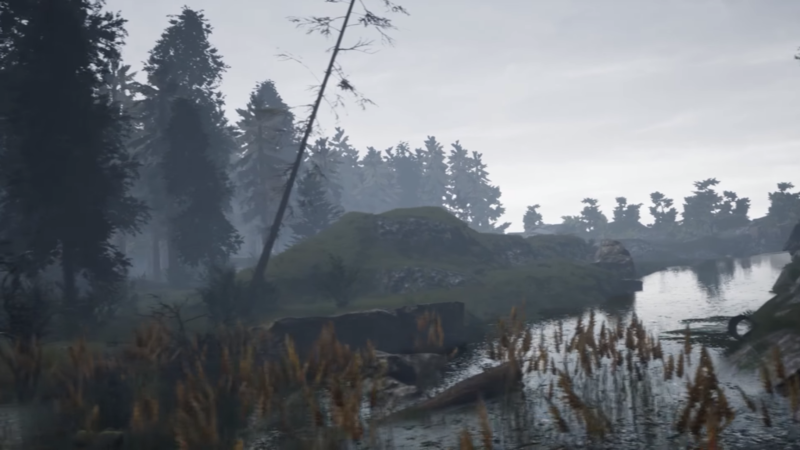 This is our first development diary, so we would like to tell you more about what our team is doing at the moment. Let’s go! We’ll start with coding. We released big update №5 just recently and it has added more magic into the world of ROG and also has implemented character’s stats and progression. You could have enjoyed fire arrows, fireballs and fire puddles (Additional thanks to those who fired up people at the respawn point). And now the time has come - we are to implement vocation system and relative buffs. Our programmers already finished coding, made testing, fixed bugs and now optimize new systems. 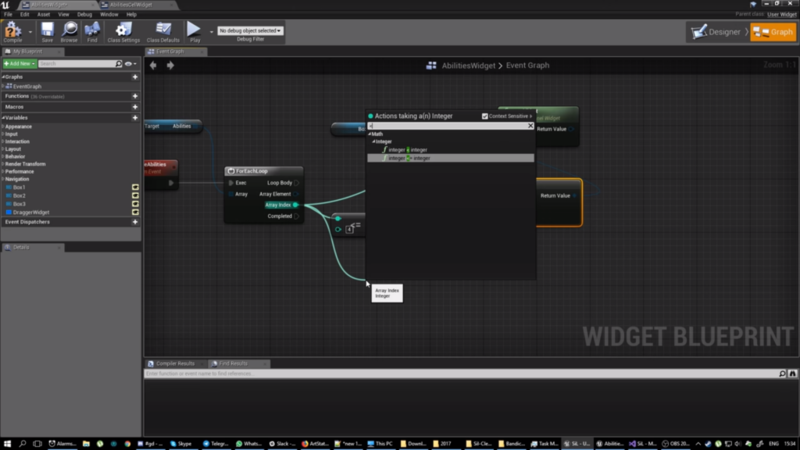 Bellow you can observe some screens of the process of building in-game logic with coding and “visual programming” (yep - those rectangles connected within one chain). It displays global general mechanic which allows us to create different abilities, buffs, effects and so on. Let us take “wolfborn” ability as an example. This skill creates wolf attacking an enemy and helping you in battle. After some time wolf disappears. Another example is “divine path” spell for crusader’s vocation which allows characters to teleport within dedicated area. After teleportation, crusader casts debuff by slowing near enemies around him. There are lot more spells awaiting you in our next update. Final cut of our VFX effects happens in UE4. The effect that is ready is implemented into the project and bounded by our coders to specific events. Therefore we tune it’s triggers. Here are some examples of magic effects. A sphere is arose in character’s hand. Inside of the sphere you can see the cross that symbolize healing. There won’t be any passive healing in our game though. Each character heals with magic (this doesn’t depend on physical or magical progression). The same goes to mana. Small cleansing. Glob appears in character’s hand. It’s size and density is tuned by our VFX guy. After it disappears, it splashes all around and creates puddles. Small cleansing removes enemy’s debuffs. Cleanse creates 1,2 or 3 Globs if enemy created 1,2 or 3 debuffs relatively. Let’s move to air sorcery that is displayed by electricity power. The first one is - lightning that leaves smoke, sparkles and ground decals. Decals - is a trace left by effect. So we’ve created 3 different kinds of lightning. With each hit the engine choose which decals will be shown. The second effect - electric beam, moved between two vector points - between player and hit area. This effect also leaves the decal. Beams work on Source and Target mechanic. We can tune decal’s dissolution time - once the button is unpressed or once character is dead. Our animator guy also did great job with two-handed weapon’s. We will reveal some more info about creating weapon models a bit later. The basis of character’s animation was made by Epic Games and includes dozens of “skeletons”. Basically - every animation is moving skeleton in each frame (33 milliseconds for each frame). Upon development of the game 80 unique animations for each activity were prepared (run, walk, jump, dodge, kicks and hits, weapon drawing etc.) Besides that, we also creating first person animations. Next stage is creating new animations for one handed weapon with/without shield equipped, for daggers, dual weapons, casting mantras, dual-handed magic (magic can be used in pair with powders or staff) and, of course, animations for bows and crossbows. Creation of models begins with dummy of future object. The most important in the process is keeping proportions so future model could be measured properly. The dummy is low quality model as on this stage number of polygons isn’t important. After low quality model is created we add hi-rez polygons - all corners smoothed by increasing number of polygons and the object starts to look more decent and close to what you can see in Reign of Guilds. When each spot is processed, all hi polygons overlap low-polygons and then all we need to do is to add final look effect: steel, burning metal, hide, cloth and so on. In ROG Player will be able to customize his weapon. Therefore all models are consist of 4 parts: blade, guard, grip, pommel. Each player can customize every part with the materials and resources he like. There will be thousands of customization combinations so one can easy make unique item. In-game weapon will also be unique by itself, because weapon material and stats will be generated automatically after creation. So it means that rich looking weapon might be weaker than another one made of standard materials. We would like to separately mention models of assassin, inquisitor and crusader. You can find first two models within the game already and check out their look. Crusader, on the other hand is a new model which will be implemented in №6 update. By the way, you can always check our new models even those which aren’t implemented yet on our page at scetchfab. Recently, for instance, we’ve loaded new models of mantra books for casting spells. 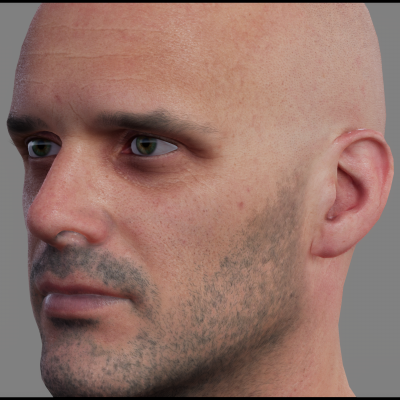 We would also like to demonstrate our pride and joy - photorealistic female and male models that will be used for character creation. Character editor will allow to change 30 face zones and the same amount of body zones. Players will also be able to change eye/skin color and choose hairstyle. The editor will help to create unique look from the beginning of the game. World of ROG provides 1000 square kilometers of freedom which is huge even for 2018. This, of course, means that we are rationalizing and optimizing process of resource generation. First our coders generate in-game world with World Machine while our level-designers produce biomes. Biomes are zones of forest, swamp, mountains and so on. When biomes are done, our coders implement them into the world generated. And after that, designers continue to animate in-game world with cities, villages, castles, arenas and points of interest. We pay special attention to castles, because sieges depend not only on castle’s size, but also on levelling that allows to choose proper tactics. Don’t forget about “atmosphere” and spirit of the game that include different stylistic solutions. Right now we are creating several test locations to master our team’s skills on decorating the world. This old hut on swamp is good example of what we are doing here. This was our first dev talk. We tried to provide you with full info available on this very moment about content in process, news, upcoming update and share development plans. On our next episode we will show more concrete results that are done by different departments of our team so each episode shall highlight different aspects of development.